In a soft market where budget reductions and myriad other economic challenges are commonplace, executives are under constant pressure to continue delivering profitable growth year after year. Today, business leaders in the insurance industry have but one option – to continue identifying and implementing business critical items that help maximize the returns on every penny invested. Advanced or predictive analysis is one of key techniques that leading insurance companies are now keen to capitalize on the opportunities available. 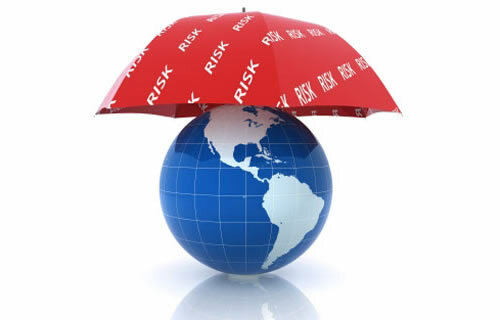 When it comes to insurance underwriting and pricing, the first and foremost goal for insurers is to make sure that the revenue generated through collection of premiums and numerous investments is significantly higher than the total amount paid out in losses over a given period of time. Insurance companies can better aim at these goals through selection and pricing of numerous insurance risks on the basis of predictive analysis. Also, analytics can help reduce policy writing time and enhance underwriting quality, thereby driving operational efficiencies. While automated underwriting platforms can almost certainly help underwriters in distinguishing “different” risks that appear identical on the surface, predictive models shouldn’t be thought of as perfect substitute for human decision makers, as Howard Mills, an insurance industry veteran rightly points out in a recent research paper on analytics in the insurance industry. Predictive modeling techniques in health insurance can be used to effectively forecast whether certain physicians are likely to be sued by their patients for medical malpractice. Factors such as training credentials, recent claims history, behavioral traits, practice characteristics, patient safety parameters and demographics are taken into account by a custom predictive analysis model. With such a model it is possible for insurance companies to identify physicians who are at a greater risk of medical malpractice lawsuits and help them deal with the risk and practice management problems. With predictive modeling, insurance companies can draw better insights on their consumers and policy sales patterns recorded over a period of time. To this day, many insurers continue to use big chunks of data just to generate standard reports. Predictive analysis done well can help insurers unearth “actionable insights” that may prove instrumental in overcoming numerous market inefficiencies. Most insurance companies were until recently approaching the management of medical cases (especially in case of disability and workers’ compensation policies) as if they were “medical” events. Most insurers are yet to realize the fact that the cases likely to become a great liability can be predicted through systematic analytics. As far as severity and duration parameters are concerned, it is possible to use predictive analysis modeling techniques to identify high risk cases on the basis of available information. Regardless of the industry segment an insurer calls home, predictive analysis backed by top notch technological solutions can help it gain a leg up on competition while at the same time ensure greater profitability. It goes without saying that insurers must choose the right IT partner with practical, relevant industry experience to make “predictive analysis” models work.